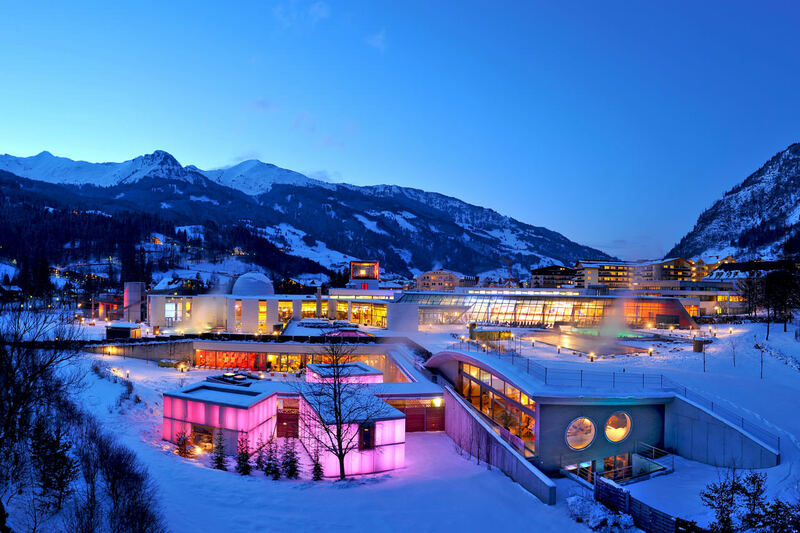 For centuries, people have harnessed the healing powers of the Gastein thermal springs. 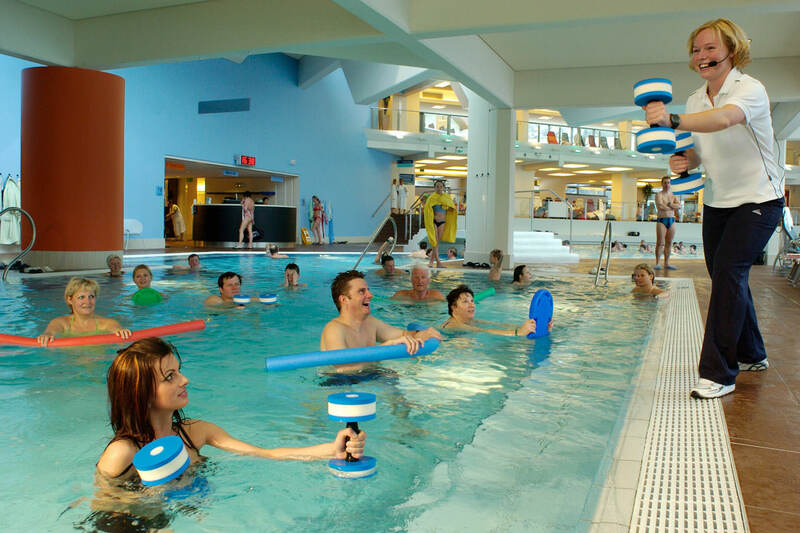 Experience these forces first-hand at Gastein's thermal baths. The thermal spring water of Gastein has a positive impact on the body and aids in relieving numerous ailments through its natural mineral and radon levels. And of course, its warmth creates a cosy atmosphere for total well-being. The thermal springs of Gastein offer even more: relaxation and wellness, along with fun and adventure activities for young and old - all conveniently located within reach of Hotel Römerhof in the Gastein Valley. 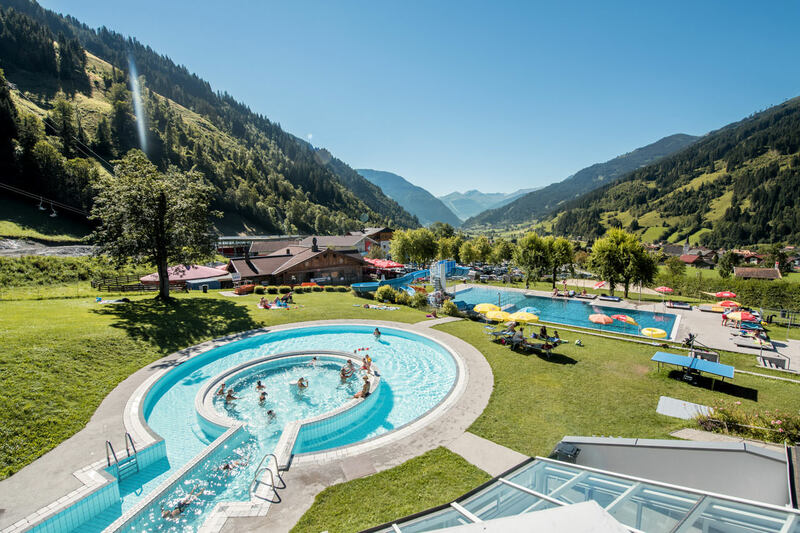 Only a few minutes' walk from Hotel Römerhof is the Solarbad Gastein, an outdoor swimming pool located in the sunniest spot in the Gastein Valley. Families will feel especially at home here as there is plenty of space to spread out. The 26°C to 28°C mountain thermal spring water is perfect for splashing around and even allows you to enjoy the outdoor pool for swimming in the open air of winter. Whether it's sunbathing or a trip to the spa and sauna area, relaxation is just around the corner. 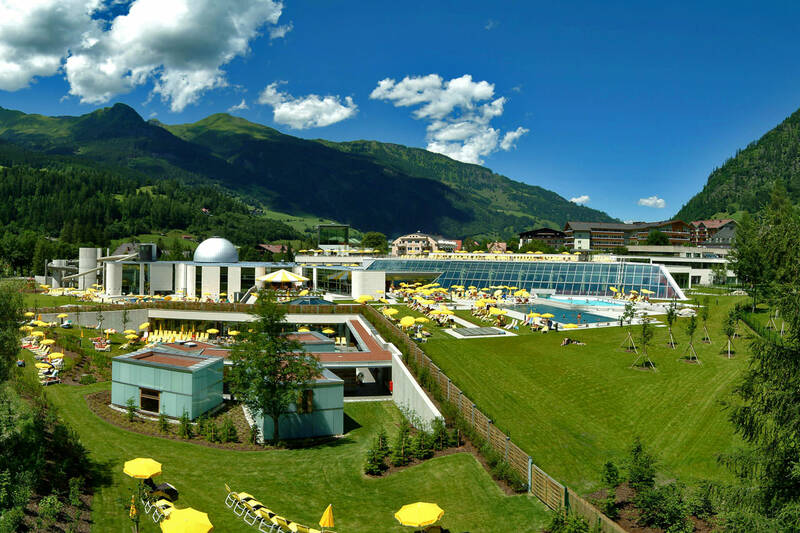 Water fun and a fantastic alpine adventure and health world in an area of 32,000m² - this is the Alpentherme spa resort in Bad Hofgastein. 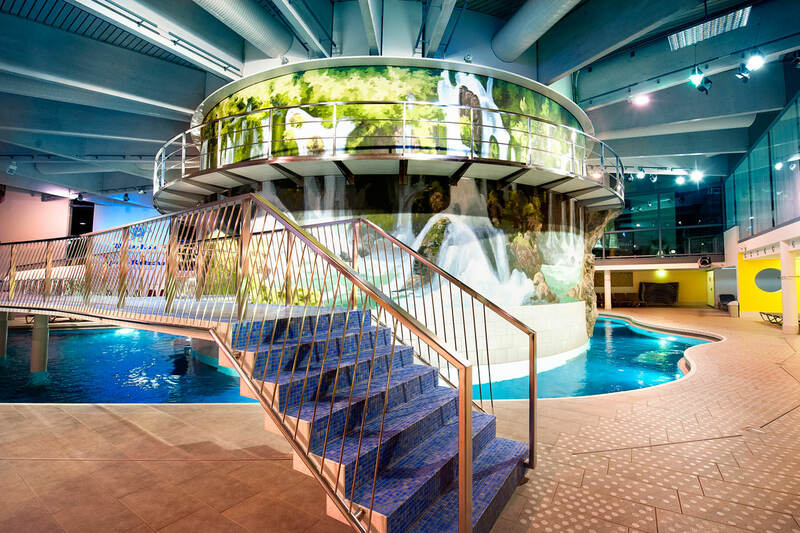 The multimedia dome in the Family-World and the Sauna-World with a mountain lake are just two of the many highlights. Enjoy the comfortable warmth and the sound of the water in the relaxing thermal spring or take a plunge into the adventure area with a 70-metre slide, counter-current pool and magical rock grotto! The seven different saunas and steam rooms are a treat for your body. Your mind earns its own break while lounging on the large sun deck or after taking a swim in the outdoor pool, where you can look at the majestic mountain panorama around you.